Out of El Monte, California, The Red Pears are a three-piece band who offer the classic line-up. The band’s approach towards a surf, garage rock style allows the listener to appreciate the simplicity their track “Maybe Baby” offers. 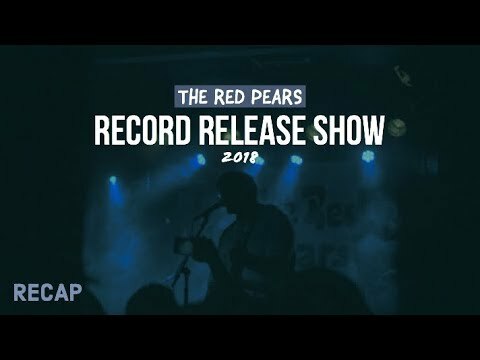 Without a heavy-handed overly produce sound, we hear the true nature of The Red Pears which does not disappoint… at all. As a three-piece, the band has an excellent rhythm section. You can already hear the future potential albums waiting in wait, for instance, “Spanish Song” shows effort and progressive. Then the track “Beach Song” channels a lo-fi West Coast distinction full of vitality and excitement. The Red Pears bring an electricity with there songs without getting wrapped up in complicated layers. Thankfully the raw attitude connected to these songs have started to attract more and more individuals. Leading towards the band’s sold out record release show. Don’t get me wrong The Red Pears have the capability to write complex and irrevocably wondrous songs. Since the simplistic nature of songwriting has been lost for some time. Thus meaning a simple song should stand independently on its own. So far three of their songs from their album have this attribution. As far as influences go, that remains to be heard and soon an interview hopefully will be held with the band. But, for the moment as an individual enjoying The Red Pears music, some potential influence might be surf guitar from the Ventures, Arctic Monkeys, The Strokes, possibly some Beach Boys. Yet, more importantly, is the fact that these three individuals (Jose Corona – Drums, Juan Aguilar – Bass, and Henry Vargas – Vocals & Guitar) are making music worth listening too. Please take some time out of your day to check out their SoundCloud. And become immersed in some truly hypnotic sounds.